NEW VERSION: 1.1.0.0 The Description: It's the Apocalypse! It's an experiment! It's just a movie! Armed just with a bat and courage, Eddy, an idle teen has to turn into a hero..in one night... But outside, on those desolates streets of Portland, the terror was released, the TV hasn't any broadcast, the telephones are out of order... A letal disease is running through his veins...it's a time race... *Fight against an horde of zombies *Search for survivors *Make a plan to escape *Walk through a big city with: a hospital a mall a subway a church a bar and much more! *Reveal the dark secret behind this hell of epic game! "Here is a game that shows real, genuine effort on the part of Eddy_Kraft to make something memorable, and I found myself enjoying the narrative in spite of some worrisome bugs. Unfortunately, the game falls just short of greatness due, perhaps, to the authors' own ambition; the combat, while functional, is barely so. 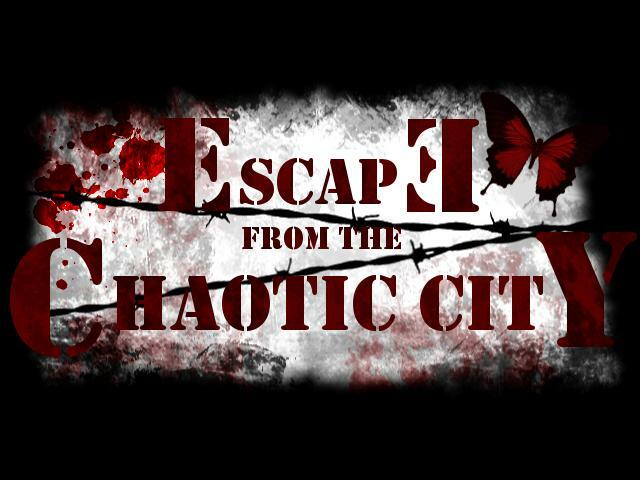 With little more to do than point and click the zombies become more nuisance than genuine horror; the puzzles, many of which are interesting, often require substantial backtracking through, again, bothersome zombies that reappear always in the same spots; and the city, while big and varied, is setup in such a way that the obvious points of interest are packed unrealistically together (a church right by a bar right by a news station). 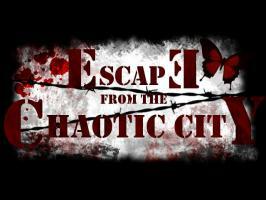 If you can look past some minor graphical flaws, aimless backtracking and bugs, though, there's a lot to like in Escape from the Chaotic City." The story and puzzle elements were mixed out of Romero's movies, Maniac Mansion, Alien and other obvious resources. This eclecticism can be read very easily, since all the original movie's posters are also hanging around. The back-tracking is indeed a bit enerving. On the other side it was pretty much background work for a person with no knowledge on how perspective actually works. Just the amount of puzzle data and pixels is worth the play. Don't expect big animations here. The game's best points are its visuals and atmosphere and the fact that, visually, it really does pull the player into the story. It's a classic story that's been done many times, but still it's enjoyable. However, there is quite a big problem with the quality of English. The maker of the game is Argentinian I think, so it's understandable, but the spelling mistakes and incorrect language are quite glaring. There is also a bug that can occur at the end of the game - if you don't perform actions in a certain order then you can't progress in the game. I noticed some other players on the forum had the same problem, so I think it needs to be looked at. Aside from the bug, I enjoyed the second half of the game more than the first - the zombies in the first half were rather disappointing and irritating! Please post some comments and rate if you have finish the game.